Drawing its inspiration from animal prints, our Serengeti rug collection is sure to be a firm favorite this year. The trendy geometric pattern is tribal looking, cool and bang on trend with today's interior fashions. 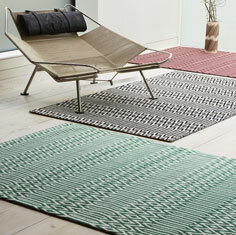 The flat-woven pile is soft and easy to clean, each rug is hand-woven in India. Choose from 6 stunning colour-ways, each available in 3 popular sizes.